What is Heart of Longmont all about? At Heart of Longmont, we believe strongly that the creation of a flexible and durable faith calls for a balance between heart and head. A living and dynamic faith calls on the Holy Spirit to inform and enliven us as we engage the realities of everyday life. Our task is to bring the Biblical witness to our own unique experiences, tempered by our ability to evaluate and process both authoritative sources and the needs of an increasingly diverse culture and world. To this end we have embraced the identity of Heart of Longmont as the thinking-person’s church, “Where faith and reason are compatible”. No. Our membership is in the mid-hundreds. We like to say that we are big enough to meet your needs but small enough to know your name. Heart of Longmont is a come as you are church. Jeans or Sunday best are both acceptable. Children are welcome at Heart of Longmont. Children may either stay with their parents for the worship service, or go to children’s church. In the nursery we provide child care free of charge for children 5 and under during the Sunday worship service. What sorts of things do you teach children? Heart of Longmont has a loving, progressive Christian message. We teach children that God loves them just as they are. That Jesus treated others with kindness and compassion, and wants us to do the same. That Jesus loved everyone, including those who were different from Him. And that helping others is the best way to honor God. I was baptized in another church, do I need to be baptized again? No. United Methodist Churches recognize baptisms done in virtually all Christian churches. Do you welcome LGBT individuals? Yes! Heart of Longmont is a proud member of the Reconciling Ministries Network. 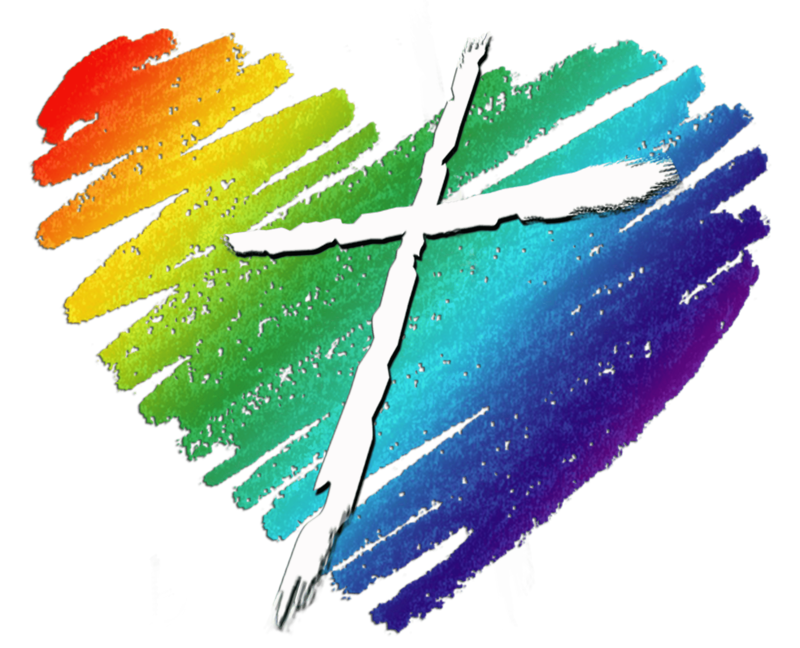 RMN works for full equality of membership, ordination, and marriage for God’s lesbian, gay, bisexual and transgender children. RMN strives to create a beloved community, as imagined by Dr. Martin Luther King, by being vigilant about those forces that create wedges between us. 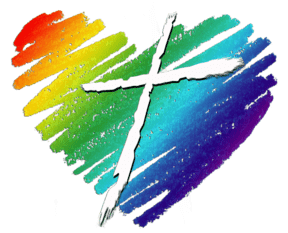 RMN is committed to policy change and the creation of long-term solutions and practices that create full inclusion in the United Methodist Church and our broader society. For more information about Reconciling Ministries Network visit their website at rmnetwork.org. Heart of Longmont has always taken environmental stewardship seriously. We are proud to have been awarded Energy Star Partner status. This reflects our commitment to putting the care of God’s creation at the very top of our priorities. For more information, view this video created during our 2014 Go Green campaign. What can you expect at Heart of Longmont on Sunday Mornings? Worship in the sanctuary from 10:00 am includes a blend of traditional and contemporary music, a scripture reading and a sermon. After the service is a time for fellowship with coffee and snacks. How often do you have communion? Who can participate? We serve communion every Sunday. Communion is open to all who want to participate, regardless of church membership, affiliation or baptismal status. Children are welcome to come forward with their parents. If you aren’t comfortable taking communion, no problem, just stay seated. Why do you use unfermented grape juice instead of wine for communion? We use unfermented grape juice instead of wine out of resepect for our brothers and sisters who have battled alcohol dependence. Are the communion elements gluten free? No, but gluten free wafers and juice are available every Sunday. They are set up next to each communion server – please help yourself when you reach the front of the line. What if I’m interested in membership? A great way to start is to attend one of our regularly scheduled “new member” lunches. There is absolutely no pressure and no obligation, just lunch and information. You may also call the office with questions or to make an appointment to meet with Pastor Dave, who is always happy to meet with potential new members. Are you one of those judgy churches? No! That’s not our job, that’s God’s job. We are here to love everyone as equals, just as Jesus did. Can I have my wedding at your church? Yes! Heart of Longmont provides a beautiful setting for a service of Christian marriage. Contact the church office as early as possible for further details and to secure your desired date on the church calendar. The First Methodist Episcopal Church was organized on June 21, 1871. The first church was located on south Main Street, and the church moved again in 1878 and again 1903. In November of 1959 our present church site was consecrated. In 1968 the church was renamed First United Methodist Church to coincide with the union of the Methodist Episcopal Church and the Evangelical United Brethren Church. In 2012 the leaders of the congregation voted to rename our church Heart of Longmont in order to renew our focus on serving the people of Longmont with loving acts of kindness and compassion. It is with much enthusiasm and hope that we enter this newest chapter in our history, committed to creating a community of cooperation, tolerance and love in Longmont and the surrounding area. Does your church host funerals and memorial services? Yes. It is the intent of Heart of Longmont to provide a loving and caring setting for funeral and memorial services. Members of the community do not need to be members or attendees of Heart of Longmont to find comfort in a service conducted here. Scheduling and coordinating is generally handled through the mortuary. If a family desires to handle details of a service themselves, they should contact the church office as early as possible to make arrangements.